We offer a wide range of aluminium windows. Drawing on the best available products in the double glazing industry, we provide you with great choice for your home. All of our aluminium windows are manufactured to the very best standards and provide you with quality, long lasting performance. 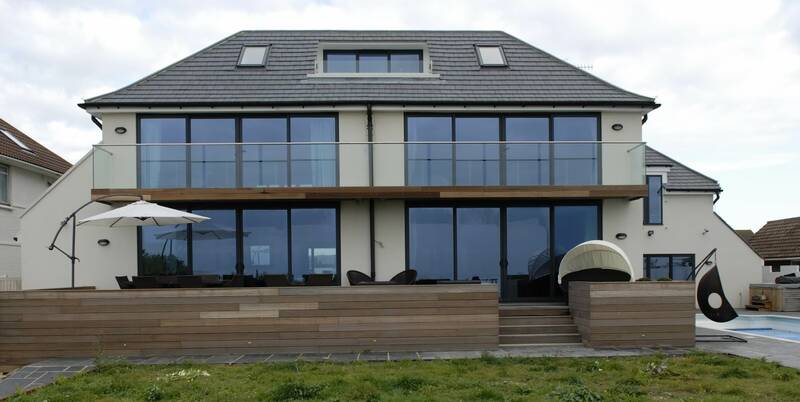 We offer our customers in Margate, Kent, Herne Bay, Canterbury, Westgate-on-Sea, Whitstable, Ramsgate and Chestfield a wide variety of aluminium windows. Our ranges come from industry leading manufacturers such as Smarts Windows, ALUK, Origin and Sapa. Whatever style or design you want, we are sure to be able to provide you with a high quality and beautiful match. Our double glazed windows provide a modern and stylish look for your home, while giving you the very best in efficiency, security and durability. Our aluminium windows are designed to reduce heat loss. They are made with a thermally broken frame and polyamide bridge. The functional slim sightlines also give them a clean, sleek appearance, which outclasses that of uPVC windows. These superb double glazed windows feature high quality EDPM rubber gaskets and weather brushes, ensuring that no matter what the British weather decides to do, your home will be protected. They are far stronger than average windows due to their structure, so you will have many years of excellent performance. One of the many benefits of choosing aluminium windows is that they can be tailored to you and your home. They can come in a wide range of long lasting finishes and lovely colours, as well as with a hug range of glazing options. They can be matched to any property style. As they are so versatile and they offer a lifetime of low maintenance, our aluminium windows are popular. They are very much sought after due to providing a long lasting investment. One of the best benefits of choosing our aluminium windows is the massive choice of colours and finishes. Our RAL colour options offer you over 250 tasteful and tempting colours to choose from. We can also provide a great selection of textured finishes and wood effects. Should you want one colour on the outside to tie in with the style of your home, and another on the inside to suit your interior décor, then this is possible too with our dual colour option. Added to all this choice, is the reassurance of a 10 year guarantee on all our colour finishes. Designed using the very latest processes and innovative manufacturing, our range of aluminium windows offer an elegant appearance. They will be the envy of your neighbours and guests with their super slim sightlines, which give such a perfect finish to your home. Their streamlined looks mean that they will blend in with your property. They will also improve the overall look, with no ugly corners or grooves. Even smaller frames allow for a large glass area, so you will have better views and more of the natural light available. We have a helpful and friendly team waiting for your call. They will guide you through the many options available and give you the best possible quote, tailored to your specifications. Contact us and we will help you to choose the right aluminium windows for your Margate, Kent, Canterbury or Herne Bay home.